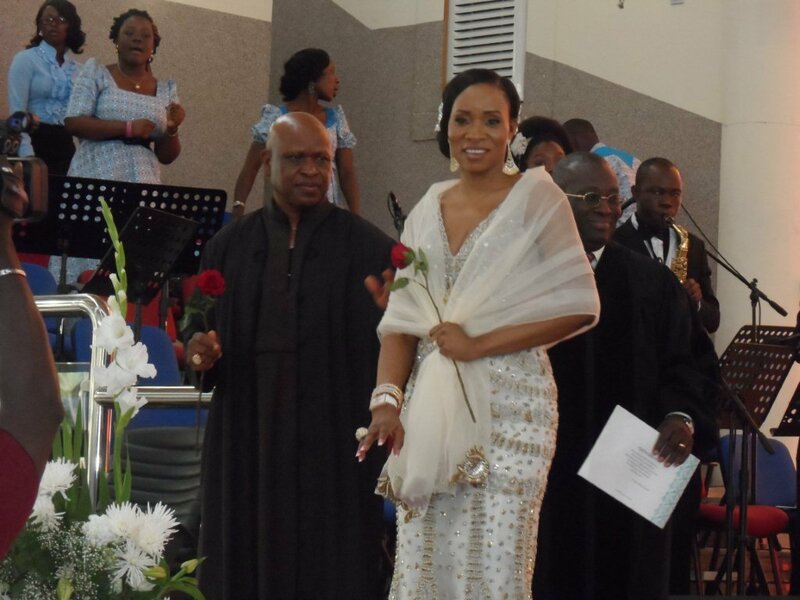 On the 22nd of September, 2012, Olorogun O’tega Emerhor and his wife, Chief (Mrs) Rita Emerhor celebrated 25 years of marriage, and re-vowed to love one another faithfully. The Emerhors are the patrons to Fair Life Africa Foundation, with Olorogun sitting as the Chairman of the Board of Trustees. A celebrated business man and chief, he sits on the boards of several other companies, heading also Standard Alliance Group, which is a major partner with Fair Life Africa. Mrs Emerhor is also a humanitarian, and is known by those around her to have a very big and kind heart. She owns Heroes Furniture Ltd, also a sponsor of Fair Life Africa, and a prestigious furnishing company in Nigeria, with branches in Lagos, Abuja and Yenegoa. There was a simple ceremony at Ikoyi Baptist Church, where the couple exchanged vows and re-affirmed their love for one another. In attendance were many notable personalities, including governors and first ladies. The celebrations continued at Harbour Point, Victoria Island in a tastefully furnished hall, which sat 800+. All were treated to various continental dishes and deserts, and champagne was overflowing. The couple sang together to the beautiful tune of ‘Flying Without Wings’ by Westlife, and shared a dance too. There was ample entertainment from notable comedians and musicians, and a documentary on their introduction and early years together was shown in the screens around. Later, the dance floor was opened and people danced til their hearts content. Fair Life Africa Foundation is proud to celebrate with them and wishes the brilliant couple many many more years of love, joy and prosperity! God bless you.